The design of large systems often involves the creation of models that describe partial specifications. Model composition is the process of combining partial models to create a single coherent model. 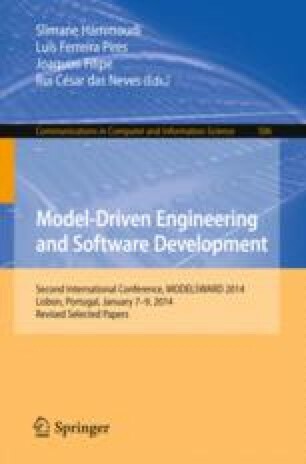 This paper presents an automatic composition technique for creating a sequence diagram from partial specifications captured in multiple sequence diagrams with the help of Alloy. Our contribution is twofold: a novel true-concurrent semantics for sequence diagram composition, and a model-driven transformation of sequence diagrams to Alloy that preserves the semantics of composition defined. We have created a tool SD2Alloy that implements the technique as follows: two given sequence diagrams are transformed into two Alloy models, and merged according to a set of syntactic logical constraints describing how their elements should be matched. These constraints are in accordance to our compositional semantics. The technique can also be used to detect problems and inconsistencies in the composition of diagrams.